The capital letters in Mr. Wright's classroom require immediate medical attention! They are suffering from severe neglect. Mr. Wright's students have completely forgotten about them--and about Teacher Appreciation Day. 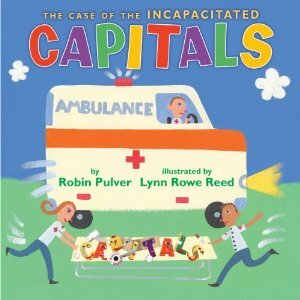 Luckily an EMS team is on the way for this grammar emergency in the latest addition to Robin Pulver's and Lynn Rowe Reed's language arts library. A Booklist starred review! "Childlike acrylic paintings combine with digital elements to make the artwork vivid and colorful. From the conversations between uppercase and lowercase letters to the comedy within class discussions, it is hard to read the story aloud without laughing, and the humor makes the lesson more likely to stick. A madcap grammar book for kids to enjoy."